There was a time, back when cathode rays were firing in our televisions, where a single tuner was all we demanded for our TV viewing, but those days are long gone. UK satellite giant Sky's latest box, the Sky Q Silver, has a staggering 12 tuners built in, the Foxtel iQ3 has eight or ten depending on the SKU - but what are all of these for and why should you care? At the most basic level, a tuner receives a signal which it converts into pictures and sound - and given that the vast majority of us only watch one screen at once you can understand why that was enough. But a modern television set top box is not just catering for a single person, and as we enter the connected TV era, you quickly need to ramp up the amount of tuners. Let's take the Sky Q Silver's 12 tuners - we can't find a box with more and it's next gen functionality really shines a light on why you need so many. Let's start with the most obvious tuner - the one that's providing the picture on your television. That's one. But like most advanced set top boxes the Sky Q Silver is also a DVR because people get really grumpy when they can't record whatever they want. In a world with a handful of channels the concept of recording one thing and watching another was revolutionary, but we now have thousands of channels and the chances are that there will be several things that we want to record and watch later. So four of Sky's tuners are for recordings - allowing you to record four shows concurrently - as well as watch a fifth. That's likely to be plenty...for the main room. 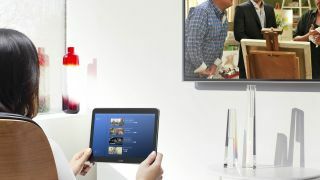 Now, previously the other rooms in the house have been served by boxes with their own tuners, but as we go into a connected world that may no longer be the case - with multi-room offerings increasingly likely to be served by the main box - essentially acting as a server. Sky's box can support two of these boxes - that's tuner six and seven. We also like to be able to use our tablets and phones in the home for television, and with the right kind of box that can be live television streamed from our main set top box - giving you access to all of your content. That, of course, needs yet more tuners which is why you can add another two to our tally. So that's nine - which leaves us with a three more in our leading box to work through. If you want a nifty user interface that includes a live feed mini-guide, giving you a live glimpse at what's going on on the other channel then you can add a tenth. Sky is using its 11th channel to keep the data up to date on the box and that leaves the magic 12 as a spare for 'future innovation' - that could well be UHD. It's still an enormous number, but for television providers they need to compete with the internet where the only limiting factor is the connection speed, and also future-proof themselves, so you can see the logic. We're no longer okay with having to crowd around the single screen in our house cooing at Bing Crosby's Christmas wonderland or inviting the neighbours round to try and work out if that's an alien behind Neil Armstrong or just a blob on the magnifying glass. And that means sophisticated ways to get our television wherever (and wherever) we want it.